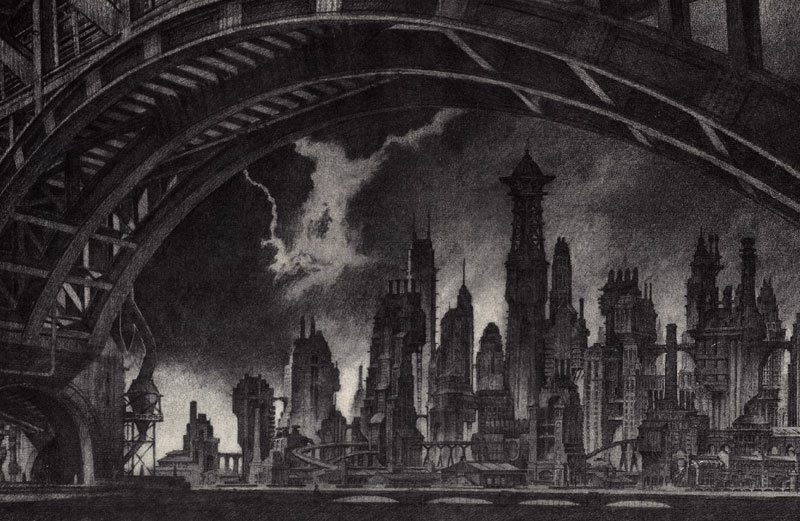 To celebrate this week’s release of The Dark Knight Rises, I thought I’d take the opportunity to repost an excerpt from one of the most popular articles ever published on Life Without Buildings, the story of Batman, Gotham City, and an overzealous architecture historian with a working knowledge of explosives (also discussed: Hugh Ferriss, Tim Burton, and Woody Allen). 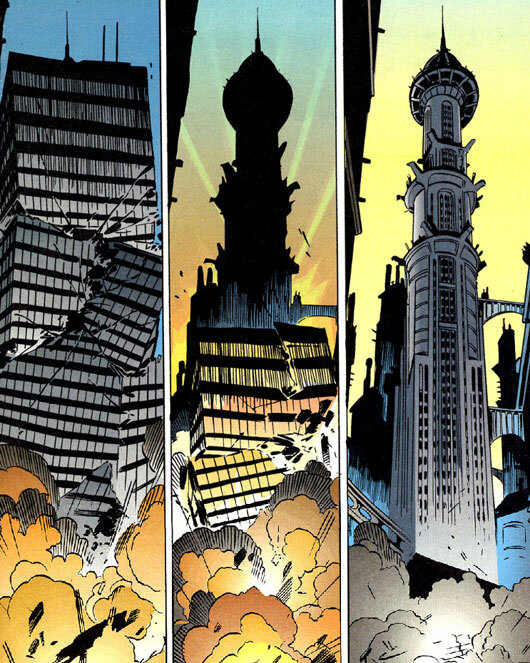 A related post that may be of interest is my recent view of Chip Kidd’s first graphic novel Batman: Death By Design, in which The Dark Knight lobbies for the demolition of Penn Station. One of my favorite plots in the history of Batman comics was a storyline titled “Destroyer” published in 1992. Written by Alan Grant, the premise is sure to please any disgruntled architect or uncompromising disciple of Howard Roark: an overzealous architecture historian/Navy SEAL (because, of course) bombs abandoned and derelict “soulless concrete” buildings that obscure the Neo-gothic architecture of the city’s original architect, and the subject of the Mad Bomber’s thesis, Cyrus Pinkney. While carefully planting explosives, our antagonist’s inner monologue is rampant with polemics decrying the conformity induced by the contemporary architecture of Gotham. “Live in a box, shop in a box, die in a box. Robots, that’s what they want. Not people. Robots that consume. Straight lines – sharp angles – square boxes. No wonder the city’s gone mad.” If there was ever a better critique of Modernism, I haven’t heard it.